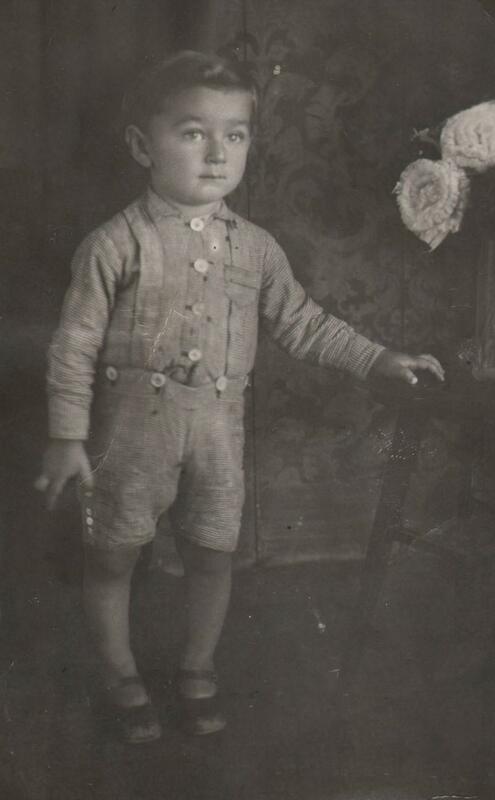 Oskar Jakob at age three in Simleu Silvaniei, Romania. Eleven years later he was seized by Nazis and would survive multiple concentration camps. 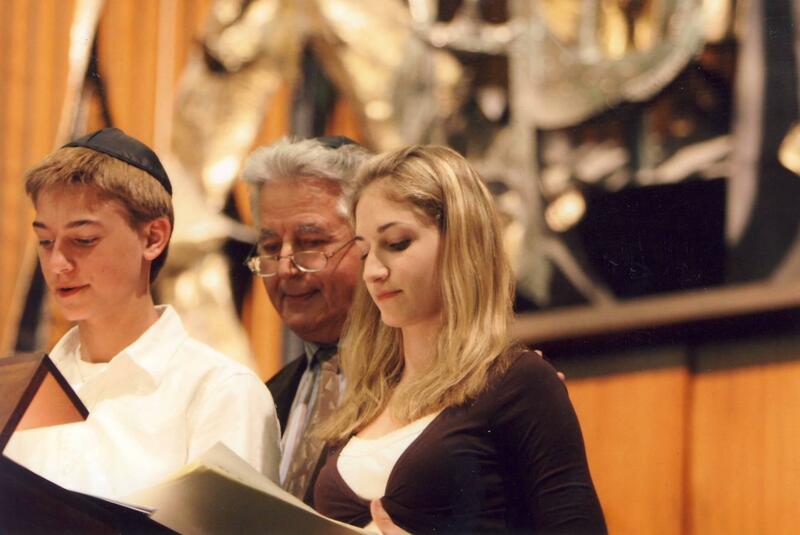 Oskar Jakob in 2005, observing Yom Hashoa (Holocaust Remembrance Day) with his grandchildren Mark and Sarah. 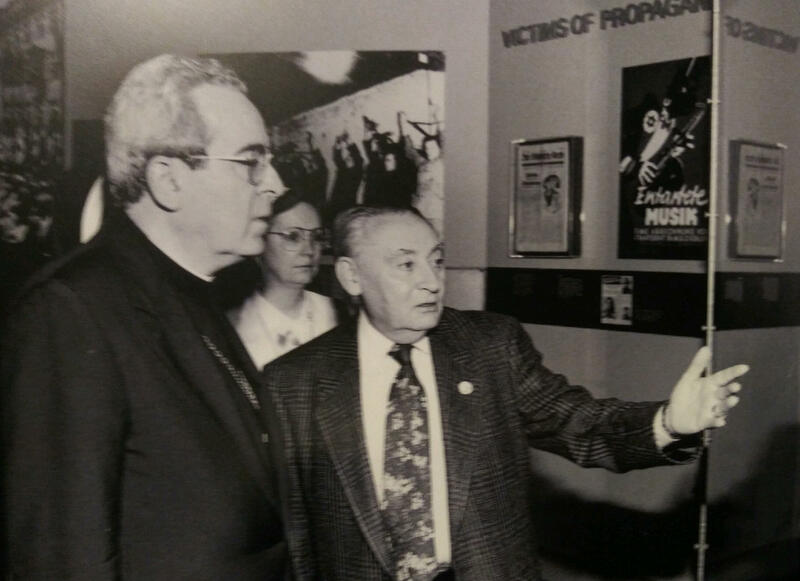 Leo Wolfe, right, with Archbishop Justin Francis Rigali at the Holocaust Museum & Learning Center in 1995. For years, the cassette tapes gathered dust. The original master recordings were squirreled away in storage, with lesser-sounding copies made available to scholars upon request. Now, a collection of 144 interviews with Holocaust survivors is available for easy access on the website of St. Louis’s Holocaust Museum & Learning Center. As young boys, Jerry and Mike Koenig escaped the ghetto in Warsaw, Poland and survived the last 22 months of the war by hiding in a bunker under a barn close enough to smell the smoke from the Treblinka death camp. On this Holocaust Remembrance Day, they joined St. Louis on the Air host Don Marsh in studio to tell their story. Jerry Koenig is now a resident of Chesterfield, and his brother Mike is visiting from Israel. Our own Julie Bierach shares this first-person account from Mendel Rosenberg of his experiences during the Holocaust. Rosenberg, along with three other concentration camp survivors, will share their testimonials at the St. Louis Yom HaShoah Commemoration this Sunday at Congregation Temple Israel at 4 p.m. Yom HaShoah is also known as Holocaust Remembrance Day, and is recognized around the world. My name is Mendel Rosenberg. I’m a Holocaust survivor and I live here in St. Louis.